Book your 2017 Tattoo Masquerade® Booth today! 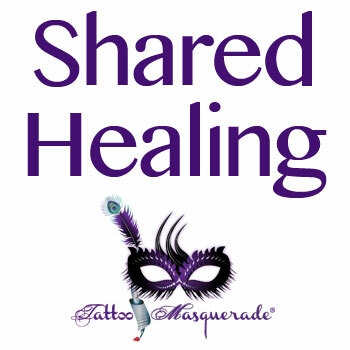 Book your booth at Tattoo Masquerade®! 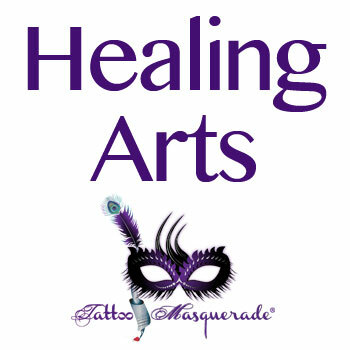 Tattoo Masquerade® is now accepting booth reservations for art floor (live painting, body painting, jewelry-making, and other onsite creations), healing arts (Reiki, massage, acupuncture, chiropractic, and more), vendor, and tattoo booths! Don’t miss out on this revolutionary 3-day art event in the heart of downtown Denver, featuring world-class artists, performances, competitions, and more…secure your booths today!! Tattoo booths are designed for shops/friends to rent a booth and share a space. If you have more than two artists coming to the show, the double booth option is for you. You receive 2 booths each consisting of a 10’x10′ space in which to tattoo. The booth also includes two (2) tables, four (4) chairs, one (1) garbage can, one (1) biohazard waste container, one (1) ID sign, two (2) artist lanyards, four (4) 3-day wristbands (two for working tattoo artists and two for assistants), and power. This is only for the temporary body artist license fee and does not include a booth reservation! Each tattoo artist must have a state-issued photo ID and either a Denver or Temporary Body Artist License, valid through June 4, 2017. We will be remitting all of your completed applications and fees directly to the city on your behalf to obtain temporary licenses for artists. Submit payment for your temporary body artist license here. Please note that payment must be received to hold your booth reservation. *Kingpin Tattoo Supply, a returning sponsor, will be the event’s exclusive vendor of general tattoo supplies (e.g., needles, tubes, caps, etc.). *Eternal Tattoo Supply, a returning sponsor, will be the event’s exclusive vendor of tattoo inks. This discounted 10’x10′ vendor booth is intended for practitioners of various healing arts/wellness disciplines (g., massage therapy, chiropractic services, reiki sessions, and other therapeutic/healing practices that present an array of mind, body, and spirit wellness offerings) and will be located within the event’s Healing Arts area (an informal grouping of such vendor booths). This discounted 10’x10′ vendor booth is intended for a solo practitioner of various healing arts/wellness disciplines (g., massage therapy, chiropractic services, reiki sessions, and other therapeutic/healing practices that present an array of mind, body, and spirit wellness offerings), to be shared with another healer and will be located within the event’s Healing Arts area (an informal grouping of such vendor booths). If you are interested in being put on a waiting list or want to be contacted about Tattoo Masquerade 2018, please submit this form! Sign up for our 2017 waiting list/2018 Interest List!